Winning Enterprises Group Co.,Ltd was established in 2007. It specializes in production of all kinds of shower equipments and bathroom products such as faucet, basin, shower room, bathroom cabinet, steam room and bathtub product etc. Most of our products are exported to worldwide markets . 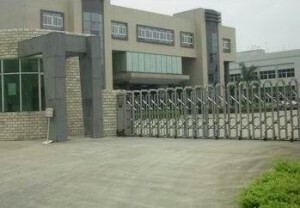 We are located in Foshan city Guangdong which is famous for building materials and sanitary ware products in China . Our company owns two factories ,covering nearly 15,000 square meters. We set up good quality control and developing new products systems . We supply good quality products with reasonable prices to our customers . 1) We have strict quality control system and we only produce good quality products . 2) We have excellent development team and always developing new models and designs. 3) We have great production capacity . 4) We can satisfy you with OEM and ODM services based on our powerful professional production. 5) We are factory and have high business reputation in this field in China . We support our customers to be success. It is our desire to set up successful business relationship with customers and friends from around the world. We will try our best to satisfy you !